Think I’m going to print this and keep copies in my handbag to hand out to offenders whenever I’m out shopping…. 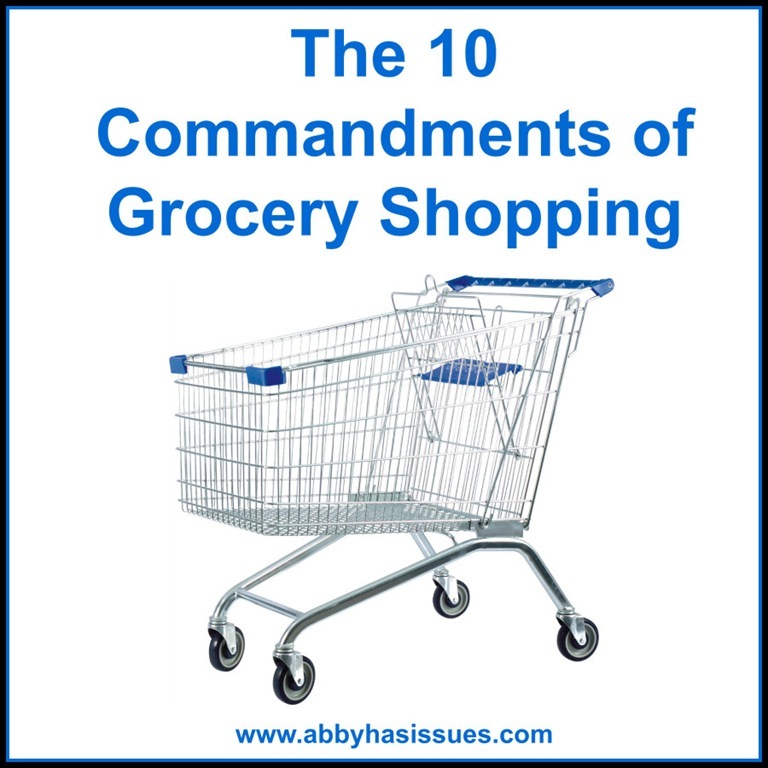 or discreetly leave it in their shopping trolley 🙂 Although I have to add an additional commandment which irritates me no end – Thou shalt not leave thy trolley in the middle of the aisle (or worse at a 45 degree angle in the middle of the aisle ARG) blocking everyone’s way to grab your most important item on the shelf that you cannot live a moment longer without. Parallel park it or I will and give you the greasy side eye as I do! Given the fact that the employees at my local grocery store see me more than my own family does, it’s safe to say that I have quite a bit of experience pushing a full cart around. While I generally enjoy the experience because a) I love finding and checking things off of a list and b) food, there are a few simple things that would make it better for all those involved. Thou shall not leave your cart in an empty parking spot.